Abigail Dawson is a little red-haired mountain girl who has been so traumatized by incidents in her life that she changes from a bright, sunny two-year-old to a very serious and timid young woman. Her mother plays a very important role in keeping this trauma in the forefront of her mind, although unintentionally. Abigail is taken to the hospital, where she remains for therapy, but Lucas Sutherland appears in her life and helps to break down the barriers holding her in torment. He and his prayers are the source of Abigail's redemption. 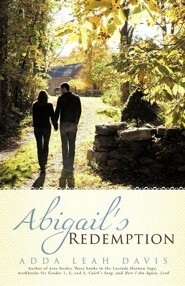 I'm the author/artist and I want to review Abigail's Redemption - eBook.